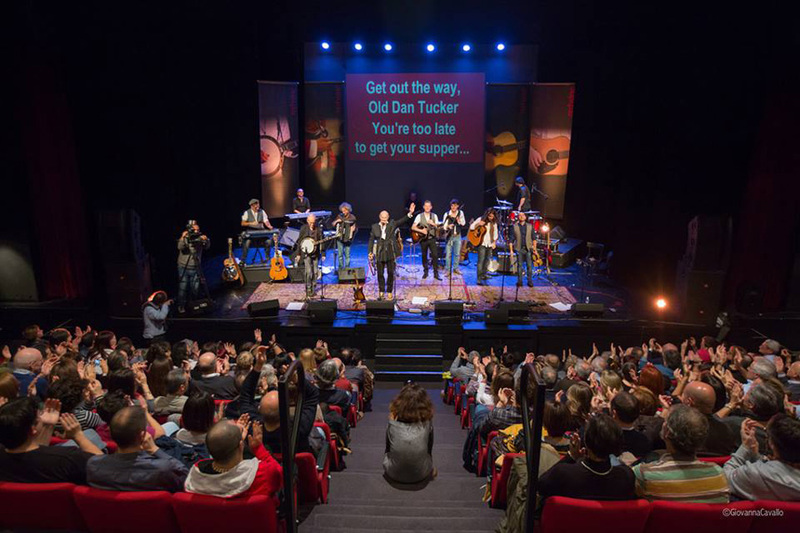 Shane Sullivan of Athy, Co. Kildare, was an honoured and featured guest at the Eighth Red Wine Bluegrass Party, held last Saturday (26 Nov.) at the Teatro della Tosse in Genoa, Italy. 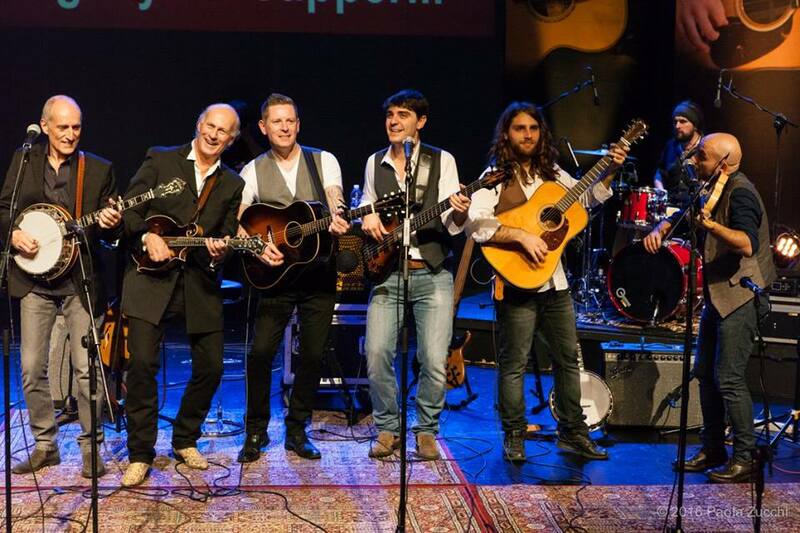 The hosts were our friends Red Wine, who have visited Ireland twice this year; the photo above shows (l-r) Silvio Ferretti, Martino Coppo, Shane, Lucas Belotti, and Marco Ferretti, with Fabio Biale (fiddle) on far right. ... a blend of songs written by some of the greatest songwriters we love and admire, many of whom with very limited or no connection with bluegrass music. These included Bob Dylan, Leonard Cohen, James Taylor, Paul Simon, Bruce Springsteen, Norman Blake, Steve Young, Jim Lauderdale, Brad Davis and Liz Meyer, as well as originals from our special guest Irish songwriter Shane Sullivan and our banjo man Silvio Ferretti. More details from Martino and more photos (all by Stefano Goldberg) are on Bluegrass Today. Work on next year's Bluegrass Party has already begun!